For years and years I was able to monitor my PR efforts and successes through what I can now call “traditional” clipping services. If anything was written about any one of the brands that I was promoting, my clipping service was vigilant for those names and delivered the goods. From that we were able to then create point of sale material with the reviews, and life was good. Even though I was busier than a one-armed paper hanger with piles, life was pretty simple back then (a year ago). Along comes a group of brilliant, Silicon Valley types who also love wine, and they change the face of the wine business so fast that you’ve got to be a certified whirling dervish, or you just can’t even keep up with any kind of insight. Fortunately, I’ve always been viewed as “out there,” so this stuff continues to just float my boat, as I continue to give it my best shot. Here’s what they’re focused on for you, and it’s not going to even come close to anything you’ve seen before if you’re a PR professional who’s been at it for years, like me..
Cruvee’s mission is to provide business intelligence and performance management services for the wine industry. With unparalleled abilities to assimilate and warehouse massive amounts of dynamically generated data, Cruvee can intelligently parse through this information to get key business insights and help make better business and marketing decisions. This means beyond data warehousing, it has become possible to use technology to apply organization and context to the data and how it is being mined. Wine product syndication to ensure brand consistency across wine sites, mobile applications, and online retailers. With their team of data and technology experts, Cruvee is exclusively positioned to provide unique market insight to wineries and wine companies of any size. This screen will give you a snapshot of the online activity and conversations that surrounds the wineries and brands that are being monitored. You will also notice the top five most recent mentions and a summary as well as the total summaries for each of the four categories that they segment your conversations into. 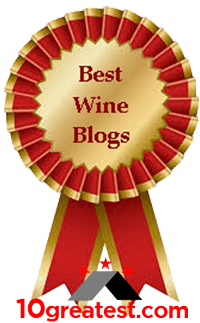 They break the conversations into four categories; tasting notes, blogs, microblogs and forums to allow a winery/client to cut through the noise. Within each category you can also enter any number of keywords (right hand side of your screen) that are associated with and surround those respective brands to see the appropriate conversations. You will also notice that each post has a direct link back to the original post giving the ability for you to engage with that consumer accordingly. This section is used to manage your respective winery profile information as well as wine product information to promote consistent and accurate information displayed across the web. They take this information and syndicate it out to the respective wine related social networks, online retailers, marketing agents, mobile applications, and more. The functions of a PR agency have morphed into being able to decipher the changes and then to explain these changes to clients, all while dancing the light fandango… With me? If you’re a wine company, you want to know how many links there are to Tweets, Forums, blogs… basically any conversations that involve your brand. If people can be engaged, they’ll move forward appreciating your brand. They’ll become loyal fans… that means a lifetime fan. Cruvee harvests so you can use it and manage it by engaging these online references to your brand. For $30 a month, who can afford NOT to have Cruvee on board as a Social Media Monitoring system? This is about one bottle of wine a month, when you put it into wine terms. If you’re a wine company decision maker, you need to find the right fit for your wine companies, and if it doesn’t involve Cruvee right away, that’s because you’re not an early adopter, but hopefully you’re also not a laggard, or your marketing future is questionable, as the newer, more tech savvy brands leave you in their dust. This is interesting in that Cruvee is offering a sort of prepackaged conversation mapping and influence monitoring solution in lieu of other general solutions already available out there. I can see where this takes some of the work out of customizing topics in a broader based tool. I have to wonder though if it is as effective as something like Radian 6 in really getting at the data and presenting it in a credible and actionable way. Marcus, it looks like you’ve found another way to monitor social media’s impact. 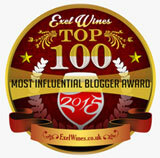 While it’s not specifically tailored to the wine community, it still has the capability of delivering info. Options, options, options… The growth of Internet businesses is an amazing thing to watch. 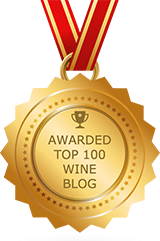 Another thought about using Cruvee over any other social media marketing tool right now – it’s great how a walk clears out one’s mind – is that this one is specifically tailored to the wine blogging community, and actively searches out what’s being written. I asked Evan Cover (CEO) if his service also allowed for companies like mine – where I have a group of clients – if his service only covers one brand, of it there could be several for one house. Love the edit. Good catch, Andrew, and it’s now repaired. I hate when that happens. Thanks. I have no problem being edited, because I’m pretty good at running into walls, and need people to rescue me when it happens. I’m always amazed at the speed in which developments in social media marketing arise. I’m a social media marketer (and wine blogger) myself so I am constantly on the lookout for new tools that can help me with my work. Currently I’m working on a social media marketing project with the Austrian Wine Marketing Board. Are you familiar with the social media marketing program Sysomos? 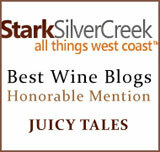 I use it regularly with my work in searching for relevant stories and posts on Austrian wine in the wine blogosphere. I also use Google Alerts, BackType, and TweetBeep, in addition to other programs. 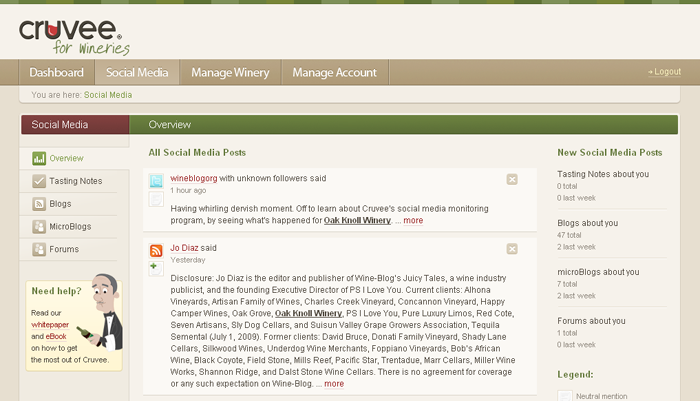 Cruvee’s monitoring system seems geared more towards the winemaker, rather than the social media marketer. At least that is my impression of it. Would you say that is the case? Cost-conscious I am always looking for less expensive ways to conduct research. Cruvee’s program is certainly priced at a reasonable level. How did you hear about their program? Did they solicit you with information or were you searching for programs like it and came upon it? Great piece of information to share, overall. You’ve brought even more options to the table. Good thing my head’s on a swivel! No on knowing anything about Sysomos, BackType, and TweetBeep… Looks like I have a busy day ahead of me. Cruvee will pick up wine, winery, winemaker, etc. I’m watching one of my client’s ~ Oak Knoll Winery, and lots of Internet deliveries are coming from that search. How I became aware of Cruvee is through Open Wine Consortium. Being curious, I emailed Evan Cover to find out more about his company. He was very responsive, and we’ve been communicating ever since. Every time we have a conversation I learn even more about what he’s doing. When I wrote this blog entry, I felt like writing a disclaimer at the end, stating that Cruvee is NOT one of my clients, because it seemed like a huge advertisement. Instead, I wrote a disclaimer on my “about” page, listing present and past clients, and discussed that being one of my clients in no way guarantees space on my blog, as everything I write is “off the clock” and not billable. This allows great freedom of thought and freedom from editing. I’m uncorked and lovin’ it. Just about any winery could do #1 for free. But tying together all three of services would be big-time value-add. There really are so many applications and programs available to the average social media marketer. It’s hard to keep up at times. I get great use out of TweetBeep. I’ve set up keyword alerts so whenever someone tweets my keyword, the service e-mails me their tweet for free. Then I can retweet, reply, etc. I agree with 1WineDude. Tying all three services together would be of big-time value. Laurie: Thanks for mentioning us! Looks like another great tool. I’ll spend some time on your site to get deeper into it.